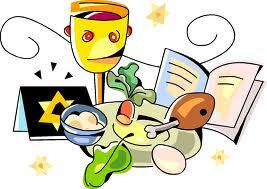 For those of our Christian and Jewish friends out there, the holidays of Passover and Easter are coming up this weekend. This means sitting around a table with family and friends having a good time, but not exactly closely watching your calorie intake. How often have you found yourself on a good path to a healthy lifestyle change only to run into some holiday or family function that derails the entire process. Since successful weight loss absolutely requires a serious commitment to a real and permanent lifestyle change, I thought I would take this opportunity to re-empower you in this area. To do so, I would like to redefine what a commitment is. To do that, we have to clarify a great misconception about commitment that exists in the world today. The following is taken from The Weight Loss Counter Revolution book. Many people make the mistake of thinking they are creating a new commitment to something when in fact they are actually creating an expectation—an expectation of perfection. The distinction between a commitment and an expectation is especially important with respect to your commitment to weight loss. You are embarking on a lifelong journey. Nobody expects perfection and neither should you. Commitments are characterized by ups and downs (just ask anyone who has been in a committed relationship for many decades). On your weight loss journey, you too will have ups and downs. There will be moments when you are not at your best or giving your all. Those are the moments that you are most susceptible to losing your focus and falling off the tracks. Those are the moments when you absolutely must remember your commitment and get yourself back on track and back in action. A commitment is made over time. It is by nature characterized by a series of successes and failures, of ups and downs. When you do not fulfill your commitment you are left temporarily down but, since you know your commitment is over time, you are prepared to take action to get back on track. An expectation, on the other hand, is created for a single moment in time. When the expectation is not met, failure is the result and there is no undoing the failure. When you do not fulfill your expectation you are left with nothing but disappointment. There is no action to take. Jenny Downer has tried every diet plan there is and they all have failed. She never knew how her body worked and never understood the importance of high intensity exercise and calorie counting. 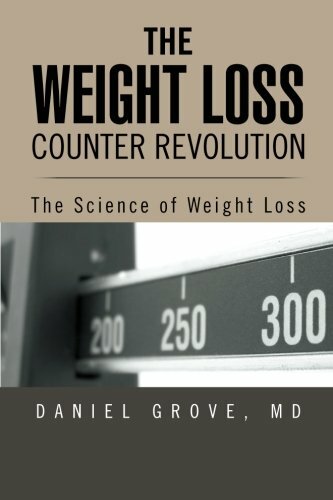 She just bought this amazing new book about weight loss called The Weight Loss Counter Revolution. She is now fully aware of how the fat is hurting her body and what she has to do to get healthy. She starts counting calories and gets a personal trainer. After a few months, however, things at work get stressful and she stops counting so strictly and stops logging her workouts. She starts gaining the weight back. She gets depressed and, after gaining a significant amount of weight back, she realizes that she has totally failed and gives up completely. Sarah Sunshine has struggled with her weight her entire life. She was raised in a home that was full of junk food, fast food, and couch potatoes. She never learned how her body works and why she has such a hard time losing weight. She sees a seminar by this doctor who is crazy enough to think that his book can revolutionize people’s relationship to their weight. He thinks that the solution to the obesity epidemic is rooted in ending the ignorance that is rampant across the country. Being generally optimistic and giving him the benefit of the doubt, she gives the book try. She is taken by this ‘counter revolution’ and commits herself to a permanent lifestyle change. She realizes that it will take a long time to overcome her genetics and bad habits and that she may not always live up to her expectations but she gets to work nonetheless. Things are going great and the weight is coming off but, after a few months, her boyfriend dumps her and she gets depressed. She stops calorie counting and her workouts aren’t as intense. She starts gaining the weight back. She looks in the mirror and is not happy with what she sees. Remembering that her commitment is for the rest of her life, she picks up her copy of The Weight Loss Counter Revolution and reads it again and gets herself back on the train. After a few years, the ups greatly outnumber the downs and she weighs as much as she did in high school and the pounds are still coming off. You are embarking on a lifelong journey. Nobody expects perfection and neither should you. You will have ups and downs. There will be moments when you are not at your best or giving your all. When you have the downs, remember your commitment and get yourself back on track and back in action. So enjoy your holiday (just not too much)! Click on the links on the top right of the page to subscribe to my RSS feed and to help me spread the word on facebook, pinterest, or twitter! Thanx, did better than normal. Agreed. I'm so much more confident going into the holiday this weekend knowing that I don't have to be perfect all the time. I love this post! It was very optimistic. You shouldn't be made to feel guilty about your weight. It's not about blame, it's about action.